Nelson Dermatology (Saint Petersburg) - Book Appointment Online! 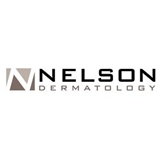 Nelson Dermatology is an advanced, comprehensive dermatologic practice, specializing in all diseases of the skin, Mohs surgery for skin cancer, and cosmetic rejuvenation. Whether you seek treatment for a medical dermatologic issue, surgery for skin cancer, or simply want to rejuvenate your skin, we can help. All visits at Nelson Dermatology are with board certified dermatologists, who have trained at some of the country's most prestigious medical institutions including Johns Hopkins, Harvard, and UCLA. Trust your skin to the expert physicians at Nelson Dermatology. Dr Andrew Nelson was outstanding, he listened, took his time and was very knowledgeable.